The United States is the largest debtor nation in the world and “it’s getting worse and worse,” according to investment guru Jim Rogers, who talked to RT on the sidelines of the Eastern Economic Forum (EEF) in Vladivostok. Rogers admits that he still owns a lot of US dollars but not because it’s a sound currency. The investor explained that the US currency is going to get higher but many countries like China, Iran, Russia and others are now trying to get rid of it. 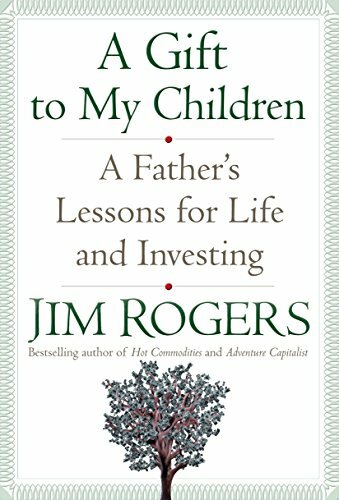 A Gift to My Children:... Jim Rogers Best Price: $1.49 Buy New $5.00 (as of 07:15 EDT - Details) “In the next few years the American dollar is going to lose its position as the world’s reserve currency and the world’s medium of exchange,” Rogers said, adding that the world has always moved away from dominant currencies in the past as situations changed. He said that the British pound once used to be the dominant currency in the world, and before that there were other dominant currencies like the Spanish peseta, the French franc, and the Dutch guilder. He cited Russia and Turkey as examples of countries that are now starting to trade with each other directly in their own currencies. “Everybody is now trying to get rid of the US dollar,” he said. The investor added that we could have regional currencies for a while but there’s no sense in having two or three dominant currencies.